An indoor multi-purpose sporting arena that is part of the Olympic Ring complex, the Palau Sant Jordi will be the main competition site of the 15th FINA World Championships. 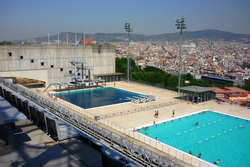 It will play host to the synchronized swimming and swimming events during the first and second week of the competition. The maximum seating capacity of the arena is 16,500 for handball, 17,000 for basketball, and 24,000 for musical events. It was opened in 1990 and designed by Japanese architect Arata Isozaki. The Palau Sant Jordi was one of the main venues of the 1992 Summer Olympics hosting the artistic gymnastics, handball final, and volleyball final. Nowadays, it is used for all kinds of indoor sport events as well as for concerts and other cultural activities, due to its great flexibility. 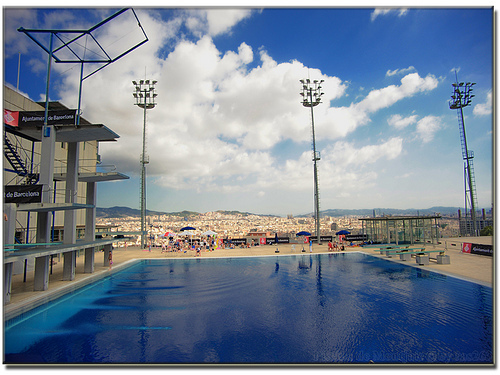 Situated in the Olympic Ring, this venue is on a slope of the Montjuïc hill gives a spectacular panoramic view of the city of Barcelona.The venue consists of two swimming pools: a pool for diving and a 25m outdoor pool. 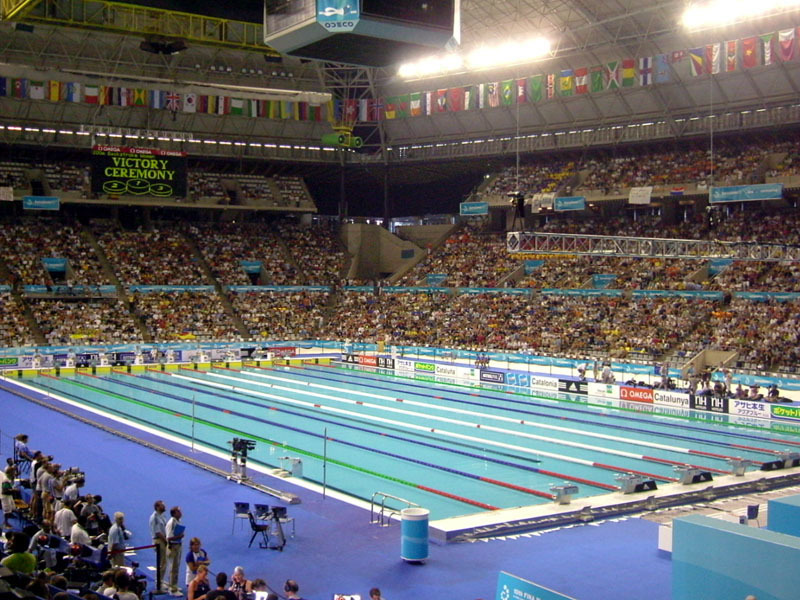 It hosted the diving events and the water polo preliminaries for the 1992 Summer Olympics, and will host the diving competition for the 2013 FINA World Championships. 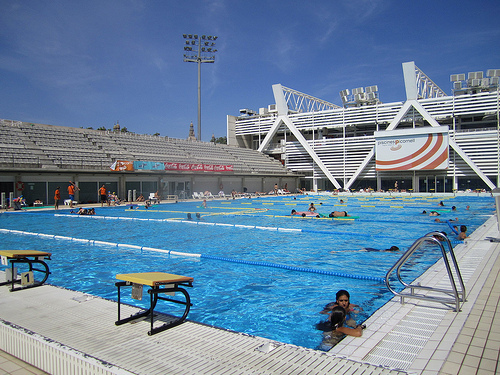 This swimming venue situated in the Olympic Ring in Montjuïc, Barcelona, will host the men’s and women’s water polo tournaments (except the men’s final, which will be held in the Palau Sant Jordi), hosting 86 water polo games from 21 July to 3 August.The venue consists of three swimming pools: a 50m indoor pool, a 50m outdoor pool, and a pool for diving. It hosted the swimming events, synchronized swimming events, the water polo final, and the swimming part of the modern pentathlon event for the 1992 Summer Olympics. Port Vell is a waterfront harbor in Barcelona, and part of the Port of Barcelona that will host the 2013 FINA World Championships Open Water competition. It was built as part of an urban renewal program prior to the 1992 Barcelona Olympics. Before this, it was a run-down area of empty warehouses, railroad yards, and factories.